The software formerly known as Fruity Loops just hit 12.5 – which means, as usual, a grab bag of new stuff as a free upgrade for current owners. Picker Panel for listing and dragging and dropping stuff. Well, here’s what you wish the Ableton Live browser looked like. 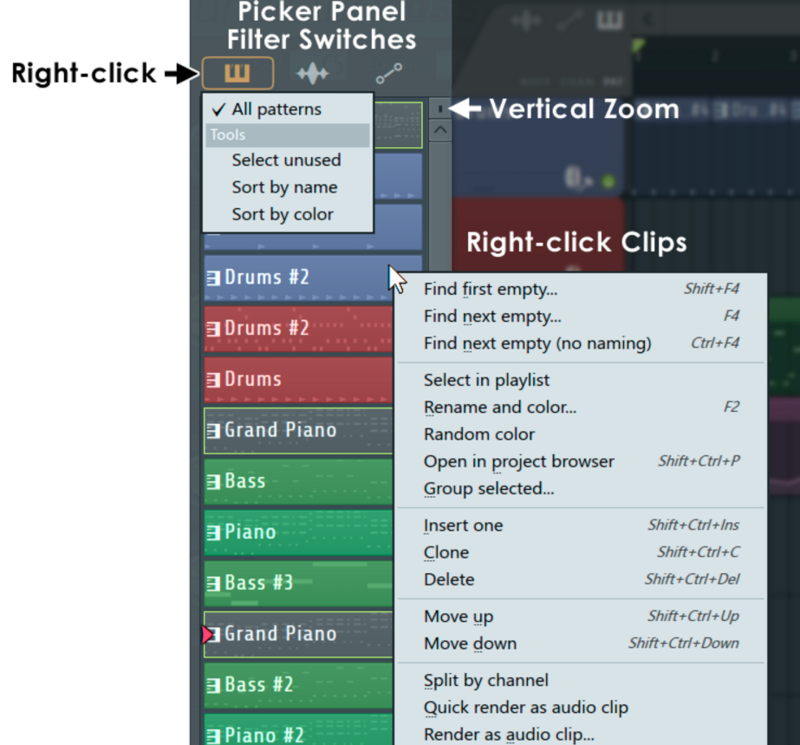 Patterns, audio, and even automation clips appear in one place, and can be easily dropped into an arrangement. You can also quickly grab unused clips to tidy up, perform batch operations on clips, and render clips as audio. Virtual controllers and touch. Virtual MIDI controllers give you remote controls for gear and software, and now there are new touch-enabled devices if you’re lucky enough to have a Windows touch device. And there’s a new delay — “analog” style with filtering and distortion. 303-style sounds in the Transistor Bass. This is acid. Plus many other UI updates, FL Studio Mobile features, and more.